Add some soft lighting to your home decor with this table lamp. Beautiful shabby chic style that will be perfect for use in the bedroom or living room. Ideal for adding some extra light to a room. 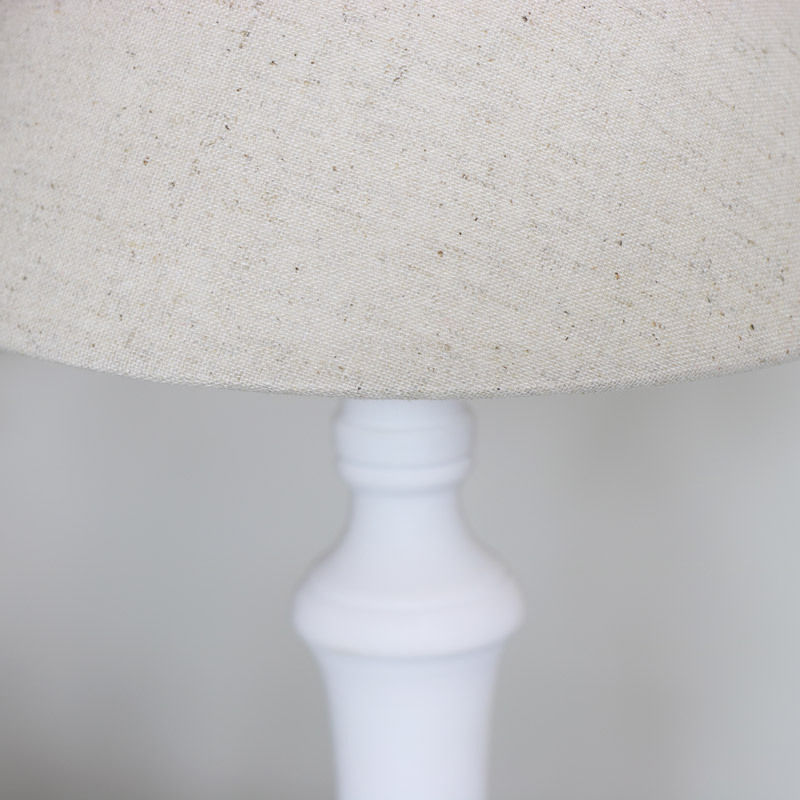 With a wood turned style base in a white finish and topped with a beige linen lamp shade. This lamp will also be ideal for use in a child's bedroom. 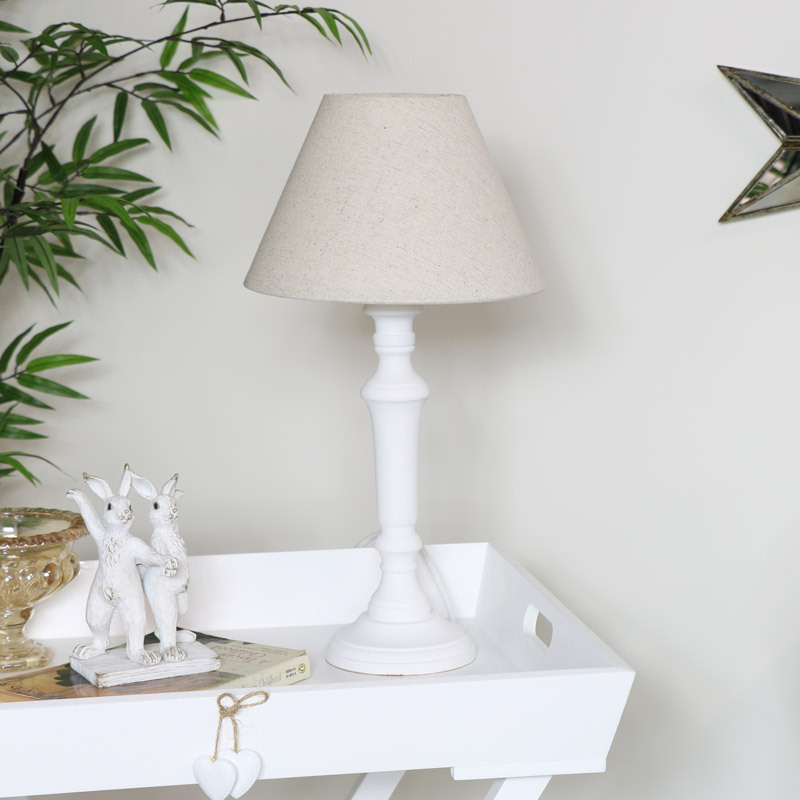 Add some soft lighting to your home decor with this table lamp. Beautiful shabby chic style that will be perfect for use in the bedroom or living room. Ideal for adding some extra light to a room. 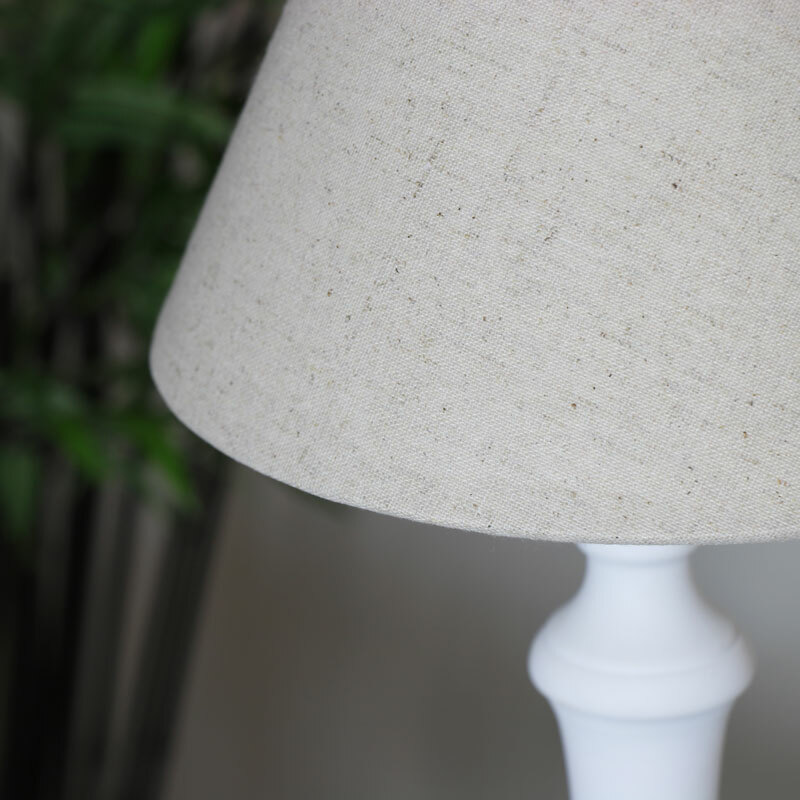 With a wood turned style base in a white finish and topped with a beige linen lamp shade. This lamp will also be ideal for use in a child's bedroom. 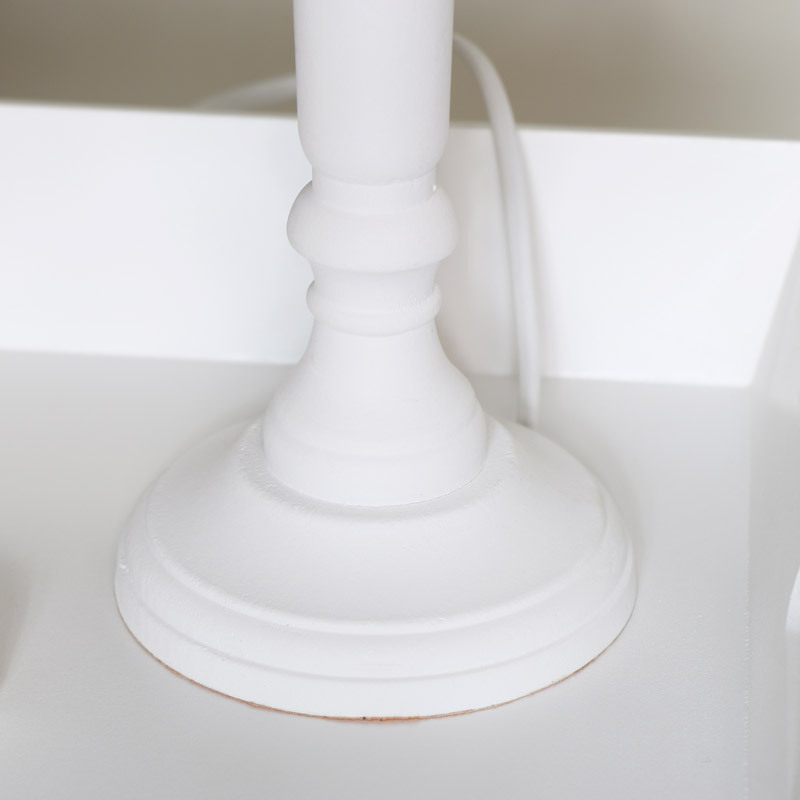 Made with a lightweight wooden base, painted in an antique white, distressed finish. Mains operated, the lamp takes max 40W E27 bulb and features an inline switch for easy access with standard UK plug. A great addition to our lighting section and just a part of our extensive range of gifts and home accessories.